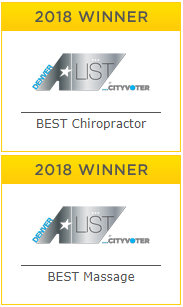 At Moyer Total Wellness, we are known for providing the Best Massage Therapy Services and Chiropractic Care in Denver. In addition, we focus on providing education, support and guidance so our clients can reach their goals in as few visits as needed. We understand that everybody is unique and has different goals and challenges. Every program is customized to offer you specific direction and treatment for your body. Treatment plans include lifestyle change suggestions including strategies to eat better, become more physically fit and manage stress. Health care modalities such as chiropractic care, massage therapy, acupuncture, and personal fitness training are used.